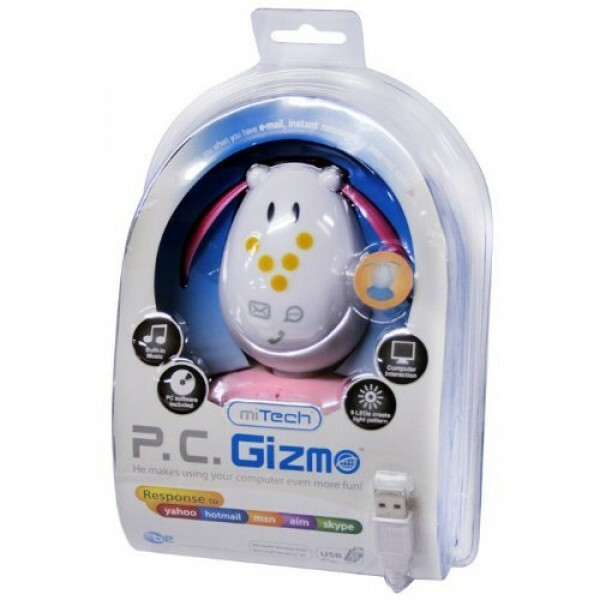 PC Gizmo is a perfect companion to kids and teenagers who use computers. PC Gizmo is not only easy and fun to play with, it is also very useful as it helps you to manage your communication applications on your computer such as email, instant messengers, and Skype call. USB device with stylish design. Response to email, instant messenger and Skype call. Attractive motions of body and ears Light up. Virtual P.C. Gizmo in PC.